Master of the Mystic Arts! 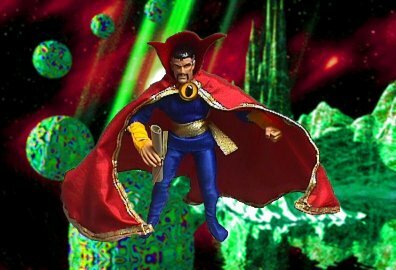 Once a brilliant -- but greedy and selfish -- surgeon, Stephen Strange lost his career to an accident that damaged the nerves of his hands, robbing him of the sensitivity and fine control needed by a surgeon. He spent years learning what it was to be without resources and without friends, all the while searching for the cure that would return to him his former glory. 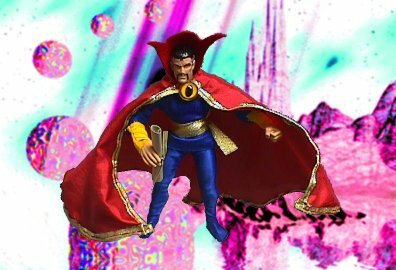 Eventually, he found himself in the Himalayas, a disciple of the Ancient One, a mystic who taught him the ways of magic -- and the error of his ways. 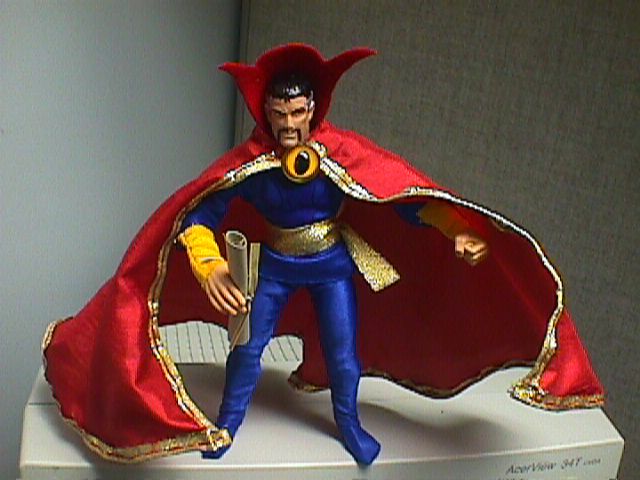 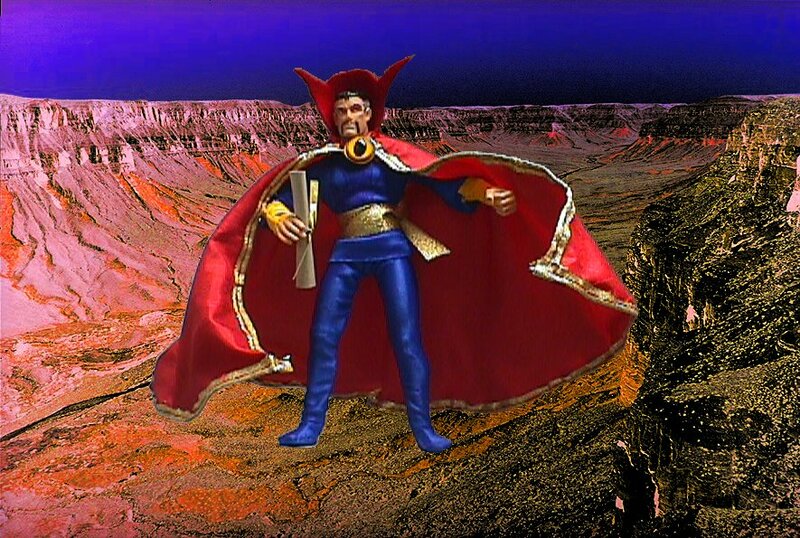 Doctor Strange is is a re-paint of Peter Parker, from the Toy Biz "Famous Covers" line. 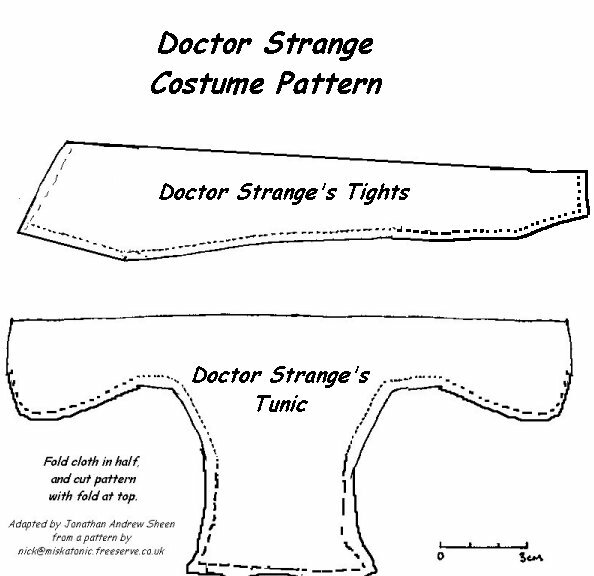 His tights and tunic are hand-sewn of deep blue swimsuit lycra based on a pattern modified from Nick Robinson's patterns. The cape was made from a nice, shiny, crepe-y silk-like material found at my local Wal-Mart, with a collar of that same material stuck to sticky-backed felt, and trim made from a gold decorative ribbon. 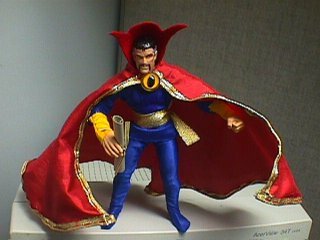 Under the trim is a connected series of wire twist-ties from various action figures, rendering the cape beautifully poseable -- and you guys all hate those twisties! The belt is a length of the same gold ribbon. 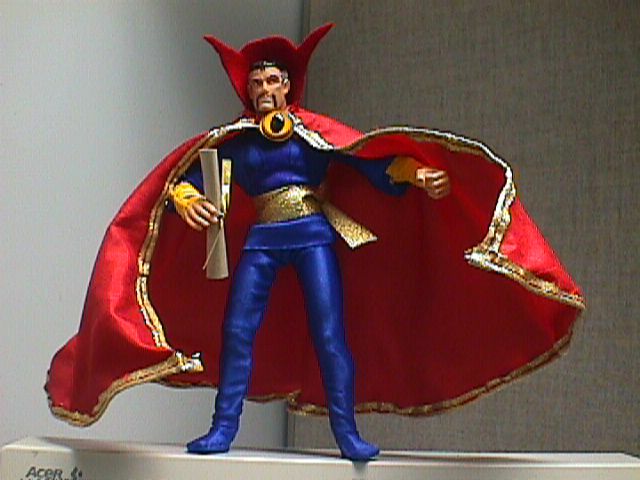 The gauntlets are a yellow-gold swimsuit lycra. 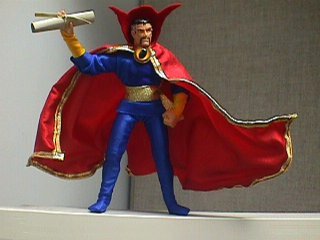 The mystic scroll was an accessory with some 12" "Mulan" figure. 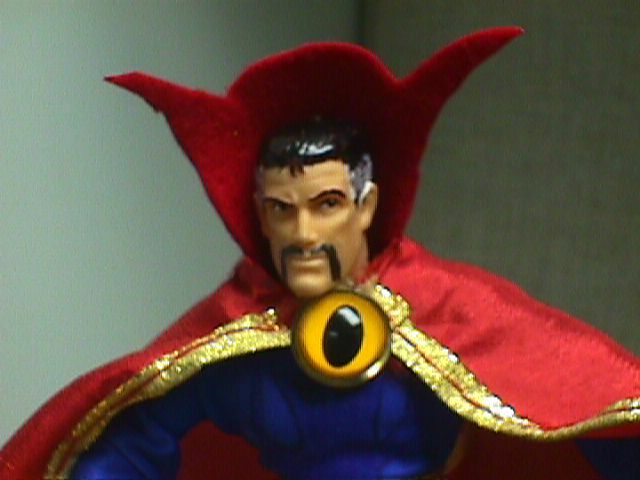 The Mystic Orb of Amagotto is a "Cat's Eye" from the doll-making department of my local craft store.